Growing up in the Sierra Foothills, Mikey was always close to nature. Drawn to spend a lot of time exploring lakes and rivers, he learned to fish and tie flies at a young age. When he moved to Lake Tahoe, Mikey split his time between snowboarding in the winter and fly fishing in the summer. His expertise led him to spend 15 seasons fishing and guiding the waters of the Truckee, Carson and Walker Rivers. 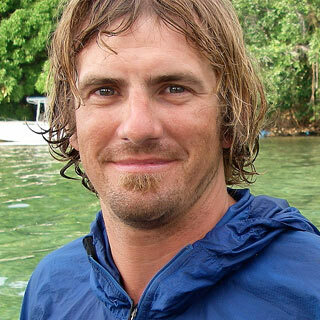 In 2001, he also started BURL Productions, a company specializing in adventure and outdoor films. Notable titles to his credit include FISH EYE Fly Fishing Video Magazine, Trout Bum Dairies 1, SOULFISH, SOULFISH 2 and CALI RUSH. Mikey now works for California Trout helping to protect California’s trout, salmon and steelhead and the state’s blue-ribbon waters. He is also an ambassador for Dragon Eyewear, Loon Outdoors, Galvan Reels and Outcast Boats.